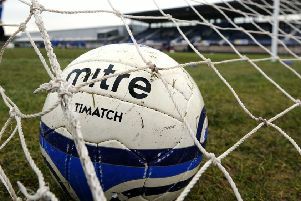 Dalbeattie Star’s Challenge Cup campaign came to a premature end following a 2-1 defeat to East of Scotland outfit Sauchie. However, over the two hours this was probably a match they felt they have should have won. Despite missing a number of players, they created more and better chances, but failed to put enough of them away and they were made to pay the price. After a goalless first half the visitors opened the scoring in the 54th minute when Mark Sharp scored but just after the hour Dean Brotherston levelled. The same player then rattled the crossbar and Star missed a number of chances to put the game to bed. 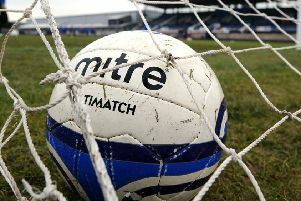 The match then went into extra time and Sauchie scored the vital goal at the start of the second period through Ryan Millar. Just to rub salt into the wounds Lee Wells was shown a second yellow card and Star’s last chance was gone. This Saturday is one of the biggest of the season when Kelty Hearts visit Islecroft in the William Hill Scottish Cup. The two sides fought out an entertaining 2-2 draw on the opening day of the league season but Star will be hoping to make home advantage count this time. Manager Darren Kerr will almost have a full squad to choose from with only Connor Graham missing due to a stoppage time red card against Wick Academy a couple of years ago. This cup means a lot to everyone at Dalbeattie Star and most will feel that Star is due a decent run after some recent near misses. DALBEATTIE STAR: Parker, Todd, Thorburn, Wells, R Thomson, Cameron, Graham, Kerr (McHarrie 65), Brotherston Sloan, O’Sullivan (Milligan 90).